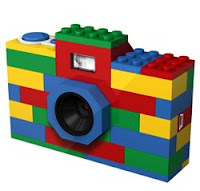 Who doesn’t need a Lego camera? I have no idea what the pictures would look like, but it is too cute! You probably have a better “shot” at getting your kids to smile for this camera than your fancy SLR one, right?